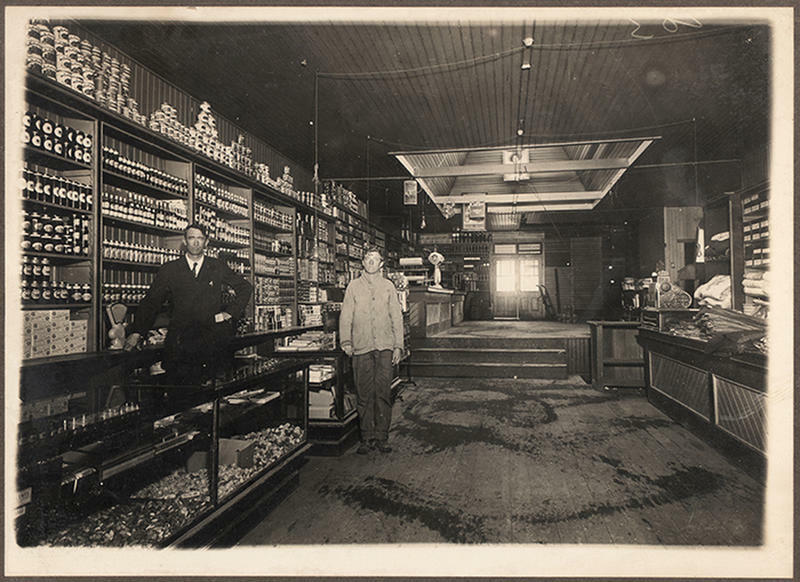 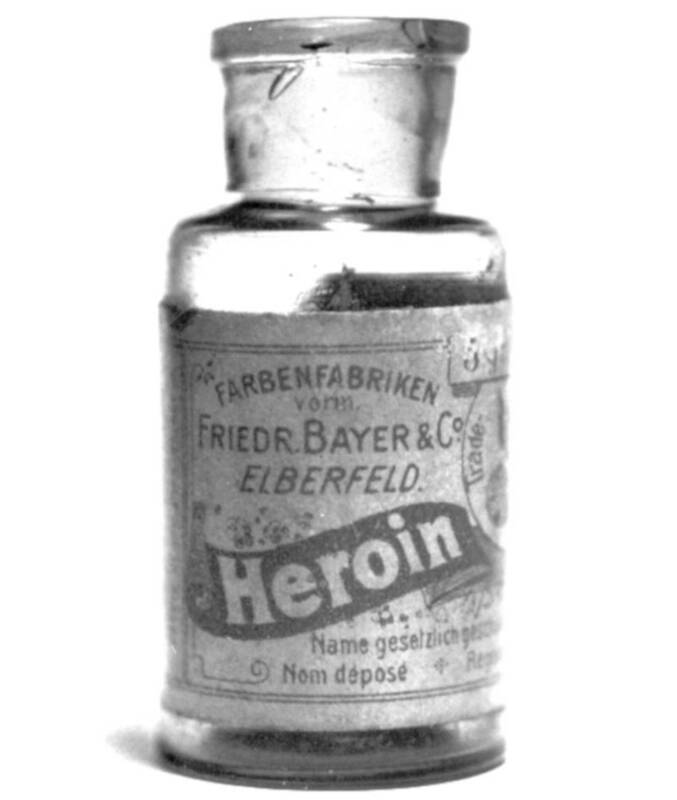 A bottle of heroin before it was a street drug. 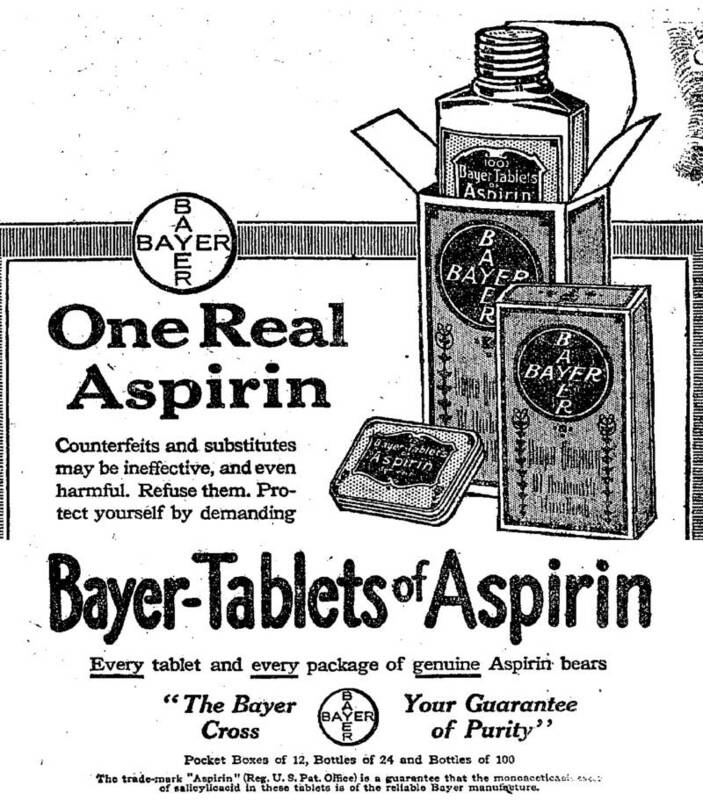 A Bayer aspirin ad from The New York Times in 1917. 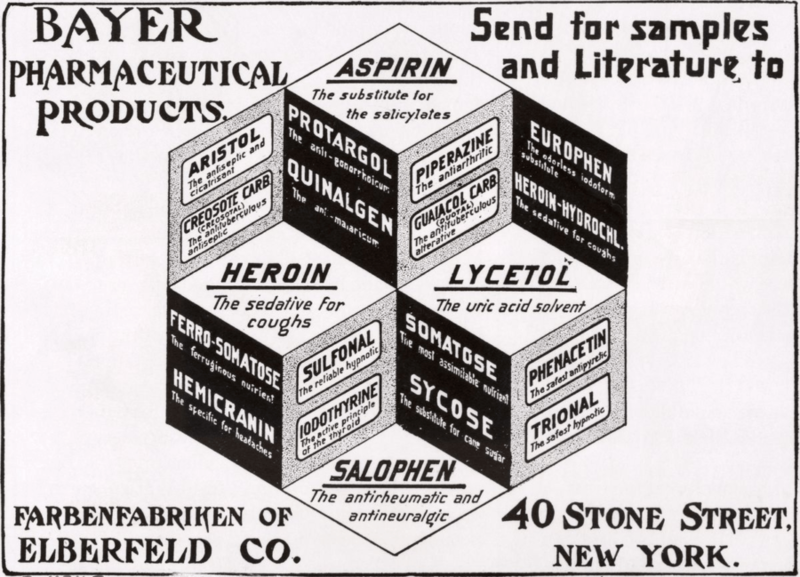 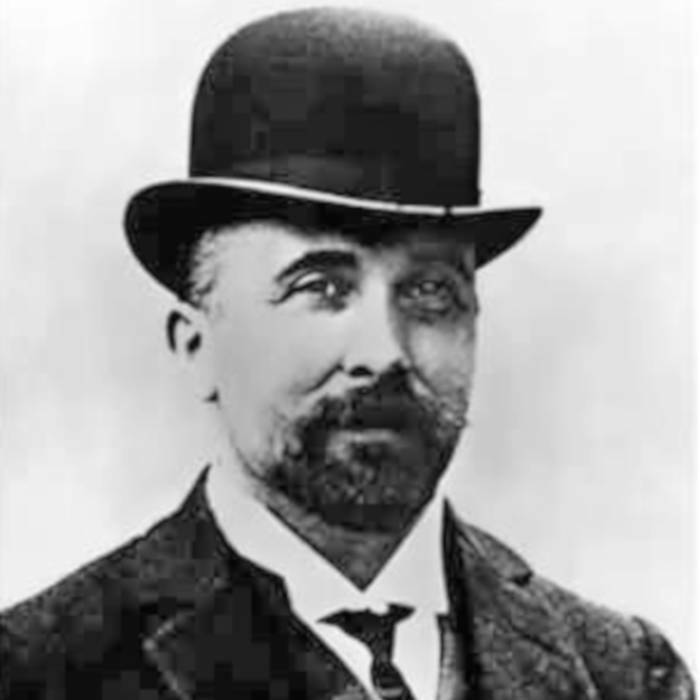 A Bayer heroin ad from 1911. 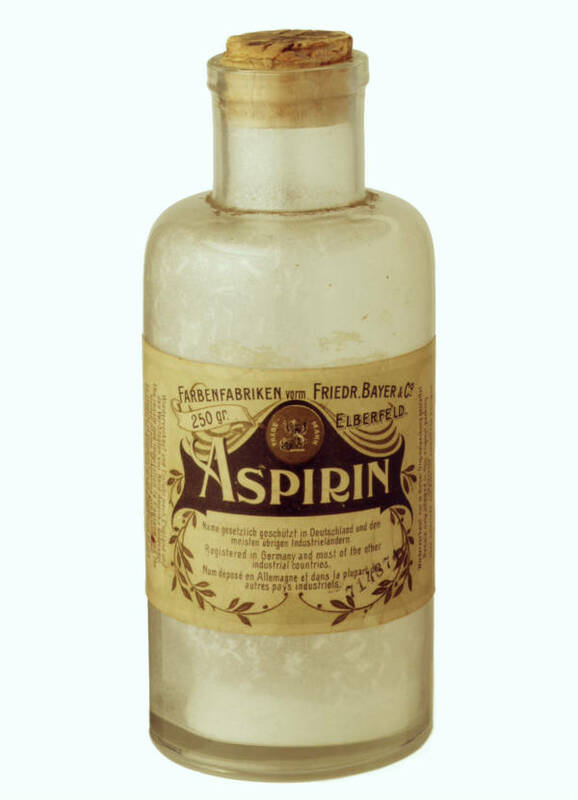 A classic Bayer aspirin bottle.